On this page you have practical tips on rock collentions. A home collection looks like easy to make. Storage boxes are cheap to buy and the rest seems easy. 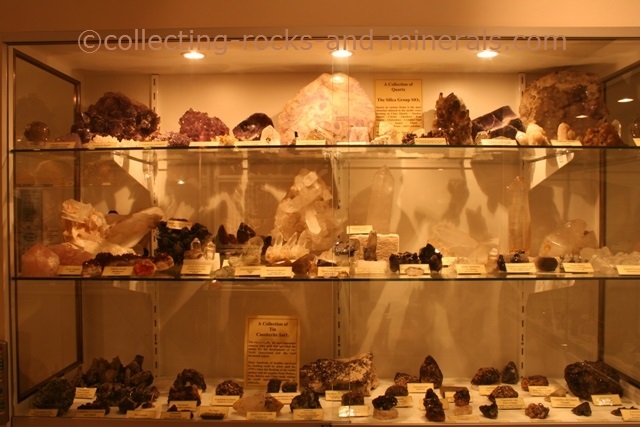 But some practical information will get you more organised and give your collection scientific value. Where to Find and Collect Rocks and Minerals? While rocks can be found almost anywhere, some places are better than others. You can pick a few along roadsides, and beaches are good however most of the rocks on the beaches will be rounded by water erosion. Some other great places to find rocks are where the ground is open, such as quarries and old mine sites. It is important to have proper field equipment such as a proper, safe, geological hammer; a good arrangement of chisels, a hand lens, a camera; bags and containers where to put collected specimens, a note book and a pen; a compass and/or a GPS, and of course, safety gear such as a hard hat, safety glasses and protective gloves. 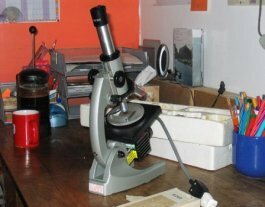 Once back home with newly collected specimens, you will need to clean and identify them, so you need geological tools. For cleaning you will need brushes,e water, and in some cases acids such as HCl. 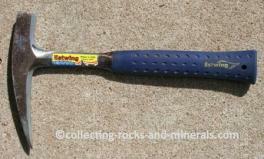 For separation of minerals from the rocks you will need etchers and chisels. And for identification you'll need scratchers, Mohs' hardness scale, a streak plate, a magnet, a jolly/spring balance, and maybe a microscope. It is important to be organised both in the field and at home. If you don't organise your collection, it will not have any scientific value. Every speciemen needs to be labeled in the field, with photos and accompanying information about it - which, once back home will be entered into a database. That's the fun bit - displaying your collection. You can choose to either display it on glass shelves if you have the room; or you can storage it in a box or a drawer. 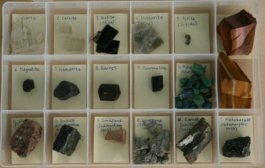 While storaging it in a box or drawer may sound like less fun, it is actually good for the minerals, because most of them are most stable when not exposed to light or changing temperatures. When in unstable conditions, they can change colours, get dull, or even start altering. And last but not least, do remember the safety. It's easy to forget that rocks are big, hard, heavy things that can hurt you easily. Collecting rocks under a high cliff? Remember the rock fall and wear a hard hat. Don't venture into old mining shafts - the wooden structures that hold the ceilings up are rotten. 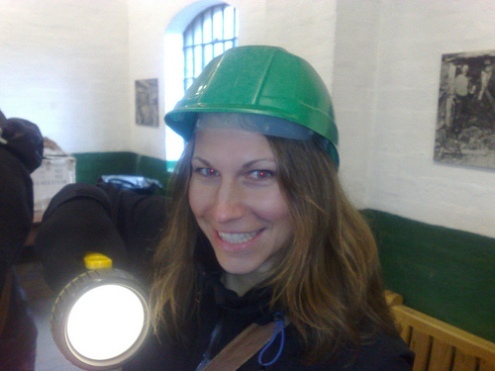 And, do wear protective gloves and safety glasses, particularly when hammering rocks. MAKE MONEY BUYING AND SELLING GOLD! 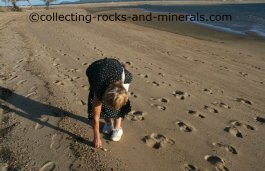 collecting-rocks-and-minerals.com is not to be blamed should there be a mistake. by the Law of Copyright. What does that mean? Copyright 2010-2019 collecting-rocks-and-minerals.com. ALL RIGHTS RESERVED.